I am writing this post as a future reminder for myself. I decided to install a Linux OS on an old laptop. And I didn’t want a Debian system (I am using Ubuntu at the office). So I went to Fedora. I just want to get my hands more dirty on Linux. I picked up the latest Fedora installation (V. 20 with KDE) and installed it in my USB. After that I rebooted my laptop with the USB and installed the OS. Really simple I must say. The problem now was that the OS could not see the wireless card. The laptop is Dell Inspiron. The wifi card is Broadcom. And I had Fedora KDE V20 with Wifi ! A small note about centOS, I tried install it before but just could not fix the Wifi issue. In this post I want to go over Law of Demeter (LoD). I find this topic an extremely important for having the code clean, well-designed and maintainable. In my experience, seeing it broken is a huge smell for bad design. Following the law, or refactoring based on it, leads to much improved, readable and more maintainable code. So what is Law of Demeter? These are fairly simple rules. Each unit (method) should have limited knowledge about other units. Suppose I buy something at 7-11. When I need to pay, will I give my wallet to the clerk so she will open it and get the money out? Or will I give her the money directly? When you take your dog out for a walk, do you tell it to walk or its legs? Why do we want to follow this rule? We can change a class without having a ripple effect of changing many others. We can change called methods without changing anything else. Using LoD makes our tests much easier to construct. We don’t need to write so many ‘when‘ for mocks that return and return and return. It improves the encapsulation and abstraction (I’ll show in the example below). But basically, we hide “how things work”. It makes our code less coupled. 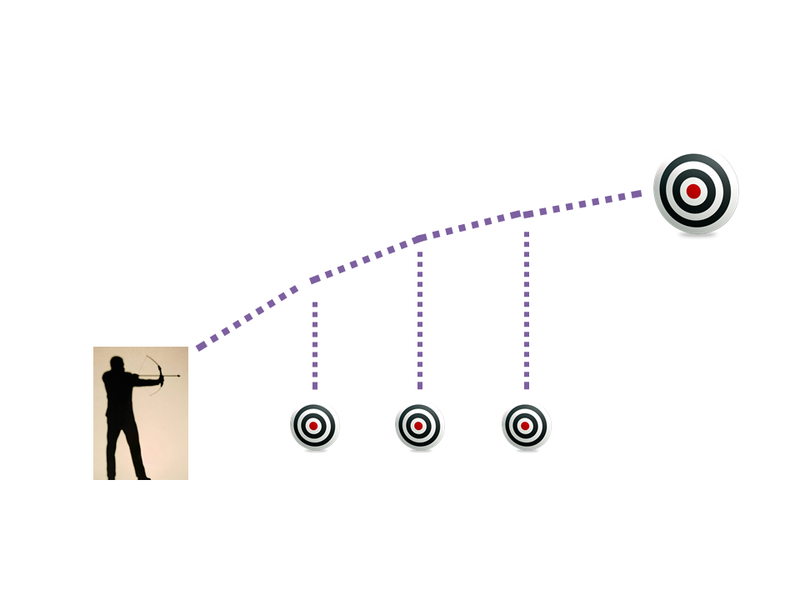 A caller method is coupled only in one object, and not all of the inner dependencies. It will usually model better the real world. Take as an example the wallet and payment. Although usually many dots imply LoD violation, sometimes it doesn’t make sense to “merge the dots”. This is another outcome of trying to avoid LoD. In this particular situation, I strongly believe that it’s another design smell which should be taken care of. As always, we must have common sense while coding, cleaning and / or refactoring. The item can hold multiple attributes. The simplest implementations would be using Map. Suppose I know that it’s a single value (from the context of the application). I think that it is clear to see that we’re having a problem. Wherever we use the attributes of the Item, we know how it works. We know the inner implementation of it. It also makes our test much harder to maintain. You can see imagine how much effort it should take to change and maintain it. We can use real Item instead of mocking, but we’ll still need to create lots of pre-test data. In order to use attributes, we needed to ask the item and then to ask for inner objects (the values). If we ever want to change the attributes implementation, we will need to make changes in the classes that use Item and the attributes. Probably a-lot classes. Constructing the test is tedious, cumbersome, error-prone and lots of maintenance. The first improvement would be to ask let Item delegate the attributes. And the test becomes much simpler. We are (almost) hiding totally the implementation of attributes from other classes. Item still knows how attributes are built. The class that creates Item (whichever it is), also knows the implementation of attributes. The two points above mean that if we change the implementation of Attributes (something else than a map), at least two other classes will need to be change. This is a great example for High Coupling. The solution above will sometimes (usually?) be enough. As pragmatic programmers, we need to know when to stop. However, let’s see how we can even improve the first solution. In the second solution we improved the encapsulation of Attributes. Now even Item does not know how it works. We can change the implementation of Attributes without touching any other class. – An implementation that holds a Set of values (as in the example). – An implementation that holds a List of values. – A totally different data structure that we can think of. As long as all of our tests pass, we can be sure that everything is OK. The code is much more maintainable. Tests are simpler and more maintainable. It is much more flexible. We can change implementation of Attributes (map, set, list, whatever we choose). Changes in Attribute does not affect any other part of the code. Not even those who directly uses it. Modularization and code reuse. We can use Attributes class in other places in the code. I have an old project, named JVDrums, which was located at Sourceforge. It was written around 6 years ago (This is the date as shown in the commit history: 2008-05-09). The project is a MIDI client for Roland Electronic Drums for uploading and backing up drumsets. It was an early attempt to use testing during development (an early TDD attempt). I used TestNG for the testing. Initially I created it for my own model, which is Roland TD-12. I needed a small app for uploading drumsets which other users created and sent me. When I published it in some forums I was asked to develop the client for other models (TD-6, TD-10). That was cool, as I didn’t have the real module (each model has it’s own module), so how could I develop and test for it? Each module has MIDI specification, so I downloaded them from Roland’s website. Then, I created tests that simulated the structure of the MIDI file and I could hack the upload, download and editing. I also created a basic UI interface using Java-Swing. So if you need to migrate from Sourceforge to GitHub just follow that link. In this post I would like to cover the Single Responsibility Principle (SRP). I think that this is the basis of any clean and well designed system. The term was introduced by Robert C. Martin. It is the ‘S’ from the SOLID principles, which are the basis for OOD. …In object-oriented programming, the single responsibility principle states that every class should have a single responsibility, and that responsibility should be entirely encapsulated by the class. All its services should be narrowly aligned with that responsibility…. A class or module should have one, and only one, reason to change. So if a class (or module) needs to be modified for more than one reason, it does more than one thing. I.e. has more than one responsibility. Let’s imagine a car mechanic who owns a repair shop. He has many many tools to work with. The tools are divided into types; Pliers, Screw-Drivers (Phillips / Blade), Hammers, Wrenches (Tubing / Hex) and many more. How would it be easier to organize the tools? Few drawers with different types in each one of them? Or, many small drawers, each containing a specific type? Now, imagine the drawer as the module. This is why many small modules (classes) are more organized then few large ones. When a class has more than one reason to be changed, it is more fragile. A change in one location might lead to some unexpected behavior in totally other places. More responsibilities lead to higher coupling. The couplings are the responsibilities. Higher coupling leads to more dependencies, which is harder to maintain. Refactoring is much easier for a single responsibility module. If you want to get the shotgun effect, let your classes have more responsibilities. 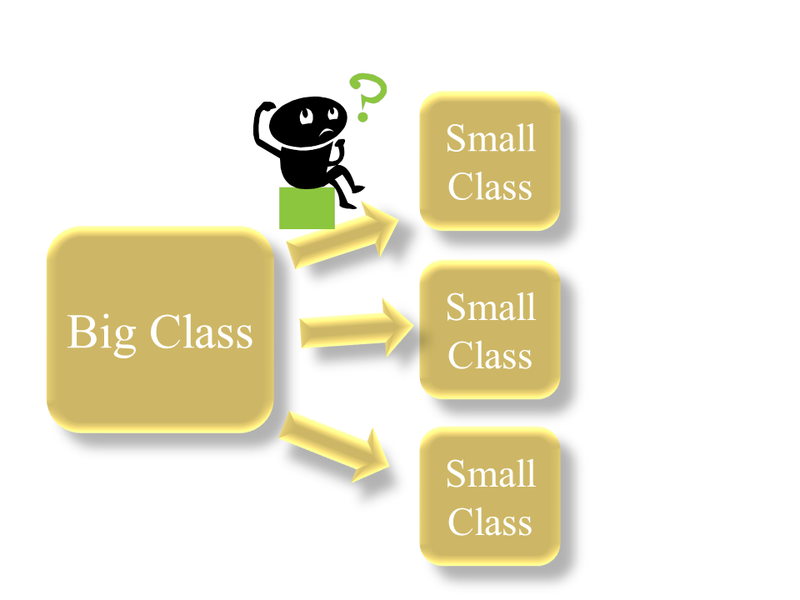 It’s obvious that it is much easier to maintain a small single purpose class, then a big monolithic one. A test class for a ‘one purpose class’ will have less test cases (branches). 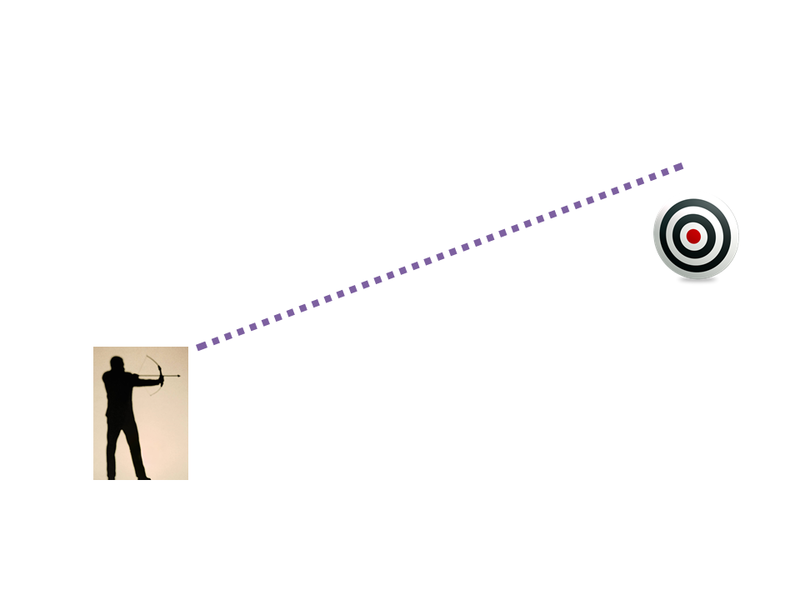 If a class has one purpose it will usually have less dependencies, thus less mocking and test preparing. The “self documentation by tests” becomes much clearer. Since I started doing TDD and test-first approach, I hardly debug. Really. But, there come times when I must debug in order to understand what’s going on. In a single responsibility class, finding the bug or the cause of the problem, becomes a much easier task. What needs to have single responsibility? Each part of the system. How to Recognize a Break of the SRP? A constructor with too many input parameters implies many dependencies (hopefully you do inject dependencies). Another way too see many dependencies is by the test class. If you need to mock too many objects, it usually means breaking the SRP. Same as the class’s smell. Think of the method’s parameters as dependencies. If the test has too many variants, it might suggest that the class has too many responsibilities. It might suggest that some methods do too much. If a method is long, it might suggest it does too much. Same goes for a class. If you need to describe what your class / method / package is using with the AND world, it probably breaks the SRP. Cohesion is an important topic of its own and should have its own post. But Cohesion and SRP are closely related and it is important to mention it here. In general, if a class (or module) is not cohesive, it probably breaks the SRP. The class has two fields. One field is used by some methods. The other field is used by the other methods. If a change in the code to add a new feature or simply refactor broke a test which seems unrelated, it might suggest a breaking the SRP. If a small change makes a big ripple in your code. If you need to change many locations it might suggest, among other smells, that the SRP is broken. I will explain using Spring, but the concept is important (not the implementation). Suppose you use the @Configuration or XML configuration. If you can’t encapsulate the beans in that configuration, it should give you a hint of too much responsibility. The Configuration should hide any inner bean and expose minimal interfaces. The suggestions below can apply to other topics of the SOLID principles. They are also good for any Clean Code suggestion. But here they are aimed for the Single Responsibility Principle. This is a general suggestion for clean code. We need to be aware of our code. We need to take care. As for SRP, we need to try and catch as early as we can a class that is responsible for too much. We need to always look for a ‘too big method’. Write your code in a way that everything can be tested. Then, you will surly want that your tests be simple and descriptive. Sometimes, when a class does too much, it won’t have 100% coverage at first shot. Check the code quality metrics. 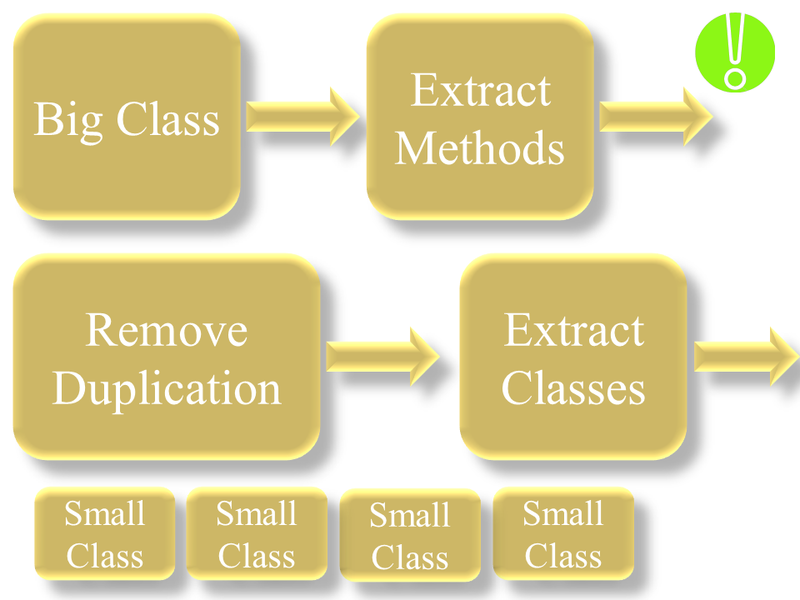 For SRP, we’ll mostly do extract-method, extract-class, move-method. We’ll use composition and strategy instead of conditionals. When using a DI injector (Spring), I think that Configuration class (or XML) can pinpoint the modules design. And modules’ single responsibility. I prefer to have several small to medium size of configuration files (XML or Java) than having one big file / class. It helps see the responsibility of the module and easier to maintain. I think that the configuration approach of injection has an advantage of annotation approach. Simply because the Configuration approach put the modules in the spotlight. As I mentioned in the beginning of this post, I think that Single-Responsibility-Principle is the basis of a good design. If you have this principle in your mind while designing and developing, you will have a simpler more readable code. Better design will be followed. As always, one needs to be careful on how to apply practices, code and design. Sometimes we might do over-work and make simple things over complex. So a common sense must be applied at any refactor and change.